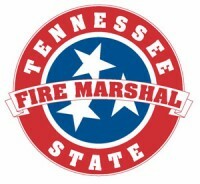 Nashville, TN – As the start of the fall school semester approaches, the State Fire Marshal’s Office (SFMO) reminds residents that the fire-safe behavior and habits children learn in school help keep them from harm while inside a school’s walls and sets the stage for a lifetime of fire safety awareness. The SFMO shares a school fire safety video resource that gives parents and educators a behind-the-scenes look at an inspection in order to offer insight into why inspections are a vital part of education. When SFMO fire inspectors visit a school, they check for the presence of important fire safety features. Keep exit path widths open at least 48 inches. Exit doors must be easily recognized and shouldn’t be hidden with paint or decorations. Fire-rated doors cannot be held open, locked, or chained and must have latches. For the safety of the school’s occupants, unapproved security devices should not be added to classroom doors. Manually operated flush or surface bolts are not permitted. Only one motion is allowed to open the door, such as turning the door handle. There are many products available on the Internet that are not code compliant. These include devices that slide under doors, lock door closer arms, prevent doors from latching, and surface bolts that slide into the floor or wall. Extension cords should not be used as permanent wiring, so schools should always consider available power sources when planning the classroom configuration. Be sure any power strip is UL-listed as an overload protector, and take care to always use appropriate wattage bulbs in any lamp. Do not leave any lamp, candle or space heater on and unattended. Fire drills are one of the most important safety measures a school can take and are also recommended for homes. Two fire drills are required within the first 30 full school days and at least one once every 30 school days. Practice makes perfect! This will reduce panic and injuries. Exit and emergency lights must be in good working order at all times. You can assist your school in reporting any non-functioning exit signs or emergency lights, or those in disrepair, to the appropriate school official. Nothing should obstruct visibility of these signs. Items should never hang from, or obscure, any fire sprinkler heads. Fire sprinklers should not show signs of corrosion or leakage; and if they do, it should be reported to the appropriate school authority. Fire codes limit the amount of wall space that can be covered to 20 percent, or 50 percent when the building has fire sprinklers. Fabrics or other flammable materials used as drapes also present fire risks. Such materials may be treated with a spray-on flame retardant. Remember, not all flame retardant applications last forever and must be reapplied periodically. 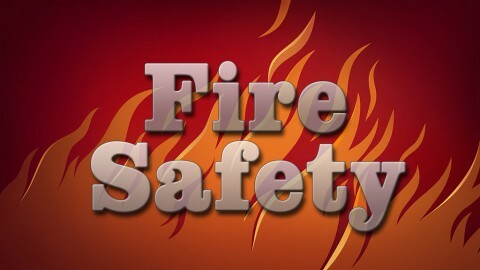 *Note: Not all schools are inspected by the State Fire Marshal’s Office. Some jurisdictions are overseen by their local fire department. A list of exempt jurisdictions can be viewed here.